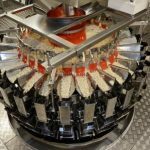 Ishida Europe (UK) – Ishida Europe has introduced 10 and 14 head multihead weighers especially designed to deliver fast and accurate weighing of fragile products such as biscuits, wafers and frozen items. 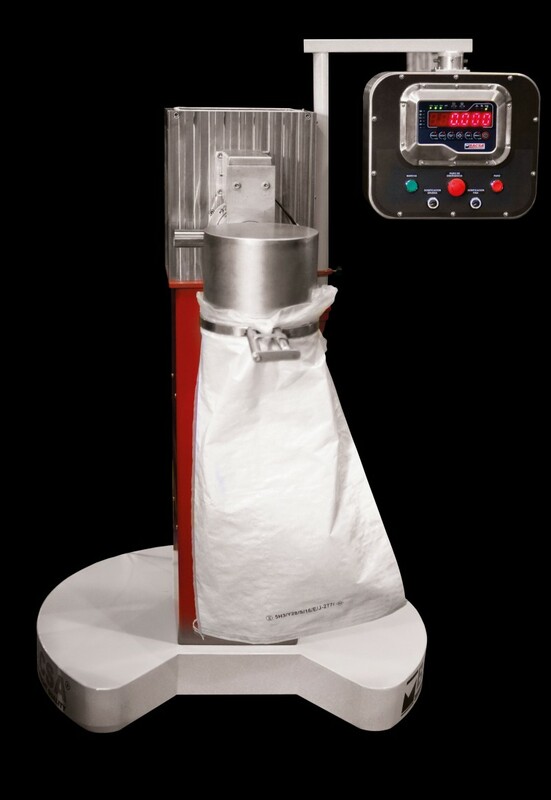 Easily-breakable products can pose a challenge for automated weighing systems. 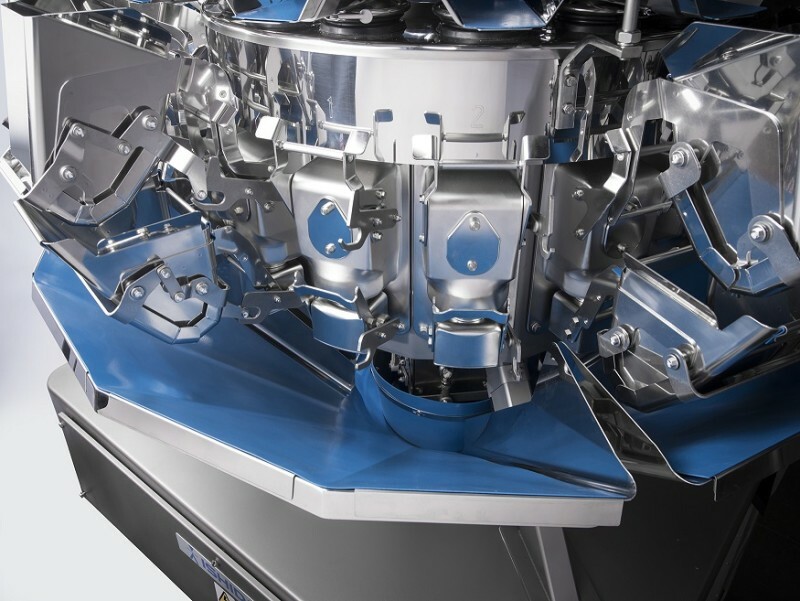 The design of the new Ishida CCW-RV 10 and 14 heads GS weighers incorporates gentle slopes and reduced angles throughout the weigher to ease the passage of the products. Bancollan inserts for the hoppers and discharge chute provide effective cushioning, while unique curved pool and weigh hopper designs deliver controlled deceleration further minimising the potential for breakages. 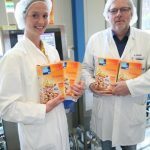 In addition, a ring shutter helps prevent breakages due to product collisions in the discharge chute during transfer of product into the packaging machine. 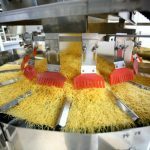 For fragile frozen products such as pasta, seafood, fruits, vegetables and bakery items, the GS model can be specified in a WP waterproof version which provides industry leading protection for the weigher in more challenging factory environments. 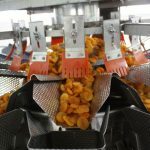 The IP69K test rating means that the weigher offers the highest levels of water and dust resistance, making it perfectly suited to applications where equipment has to be thoroughly sanitised. The CCW-RV 10 & 14 heads GS offer all the proven benefits of the Ishida RV range with its reputation for unsurpassed accuracy and efficiency. All heads are capable of being used in a single combination calculation, and the unique triple combination calculation software can calculate three optimal weight combinations, double checks them and then select the one nearest to the target weight, all in a single cycle. This minimises error discharges and increases efficiency, while also enhancing weighing accuracy and consistency. Anti-floor vibration removes background vibration from the load cell output signal, improving signal stability and machine accuracy. Speeds of up to 65 per minute for the 10 head and 90 packs per minute for the 14 head model can be achieved, depending on product characteristics and required target weight. 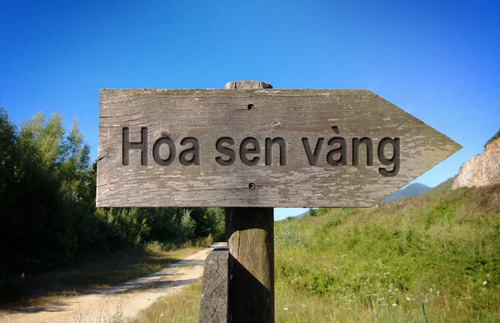 You are viewing the latest news at Blog.hoasenvang.com.vn, news on precision Measuring Equipment and weighing control devices, New Ishida Weigher Ideal for Fragile Products all free and non-profit, yes your needs is my duty. Cân điện tử Hoa sen vàng – Golden Lotus Measuring Equipment International Electronic Weighing for Feature Thanks to Weighing_review web site for World extensive Weighing Scales News. All cognitive content on the Blog is apportioned and is not accountable for the cognitive content apportioned for any advertizing aim or exactness data. Please do not tick off, all changes are unsuccessful to the producer without prior catch out.